Hey, what's up everyone? This is Dexter (a.k.a. "TechDex") with another annoying Windows 10 fix here for you. I'm a person that heavily utilizes power options for music, graphics and video editing, programming, gaming, and so on. While I do have custom power plans for certain tasks, I have always enjoyed the default Windows Power Plans, (Balanced, High Performance, and Power Saver respectively. 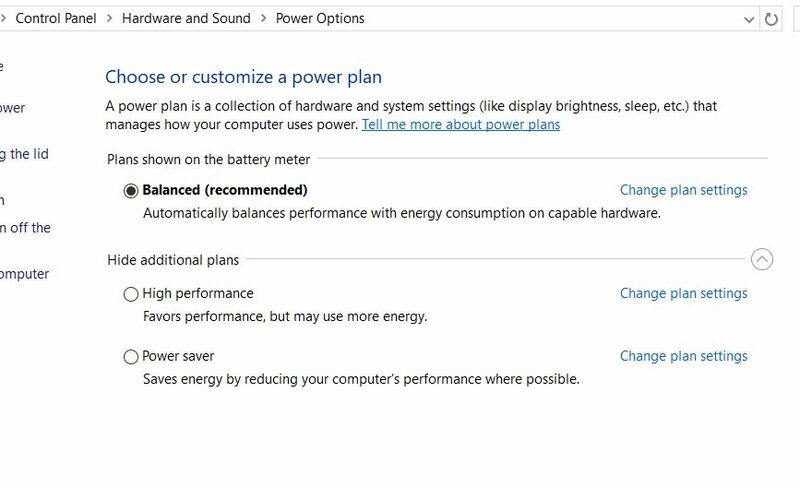 Much to my dismay, after the Windows 10 Fall Creator's Update, I noticed that in Power Options, High Performance and Power Saver Plans were missing. I searched around the Internet for a while but couldn't find any solutions that worked. No, the registry hack didn't work for me. Finally, I decided to just import the power plans from a Windows 10 machine that hasn't been upgraded yet. Today, I am going to show you how to do it, and provide you with the three default power plans from Windows 10 so you can import them yourself. Open an elevated command or powershell prompt. You can press the Windows key, and search for "cmd" or "windows powershell". When either pops up in the results, right-click and select "Run as Administrator" from the menu. Download the PowerPlans.zip file I've uploaded. Just follow the link below. Extract the power plans to your desktop or download folder, (in my browser the default is the download folder). Once extracted, you should have a folder called "Power Plans" with three backed up plans, (.pow extension). In your elevated prompt, you are going to use the powercfg tool built into Windows to import the missing power plans. For many of you, I would imagine that would be the one power plan you have left, Balanced. This is the command line you should use. For example, in my case the folder was on my Desktop since that is where I saved them, and I imported the missing plans like this. powercfg -import "C:\Users\USER\Desktop\Power Plans\High Performance.pow"
Then again for the Power Saver plan. powercfg -import "C:\Users\USER\Desktop\Power Plans\Power Saver.pow"
There wasn't a need for me to reboot, and all the power options were immediately available in the Control Panel. Press the Windows Key and search for "Power Plan". Select "Choose a power plan" from the results under "settings" and see for yourself. NOTE: The change in the power plans was done on purpose by Microsoft, and it first took effect on Surface. The imported plans won't be imported as default plans, and you can safely delete them. The goal was to import the plans with the proper original, default settings. I chose to do it this way because creating my own power plans didn't quite work as expected. Many of the settings were the same as the Balanced power plan and I had to edit each one. Did this work for you? Let me know in the comments below. PS: I apologize I haven't posted a blog all year long. I have been sharing bug fixes directly on my Facebook profile, since I don't actually run into many problems. Feel free to follow me on Facebook, and if you have a problem you need me to solve, just message me. I'll be glad to help in any way that I can. ® Live Minder © TechDex Development & Solutions. Powered by TechDex CGI Blog.